One of the best-kept secrets in Idaho is the stunning beauty of the Stanley/Redfish Lake area. 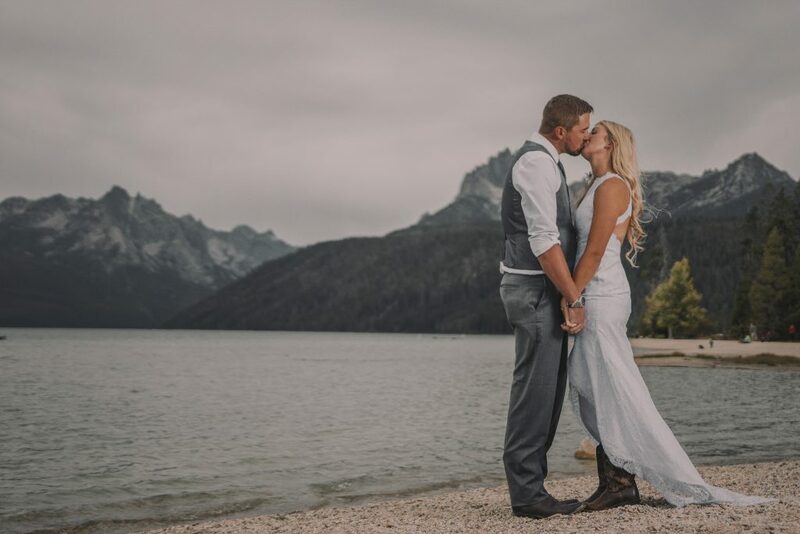 Folded in by the Sawtooth Mountains, and skirted with lake-side spots, it doesn’t get much better than this for epic mountain/lakeside photo opportunities. This is one of our personal favorites, for sure! Travel fees do apply. 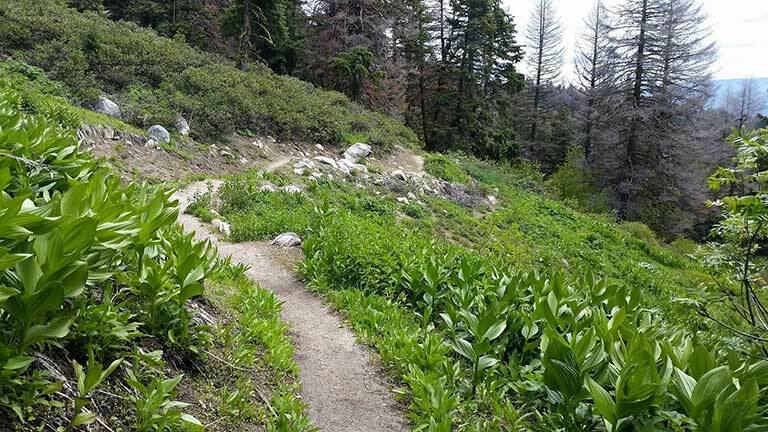 Just a 30-minute drive from downtown Boise, Bogus Basin is a stunning location for a small elopement. 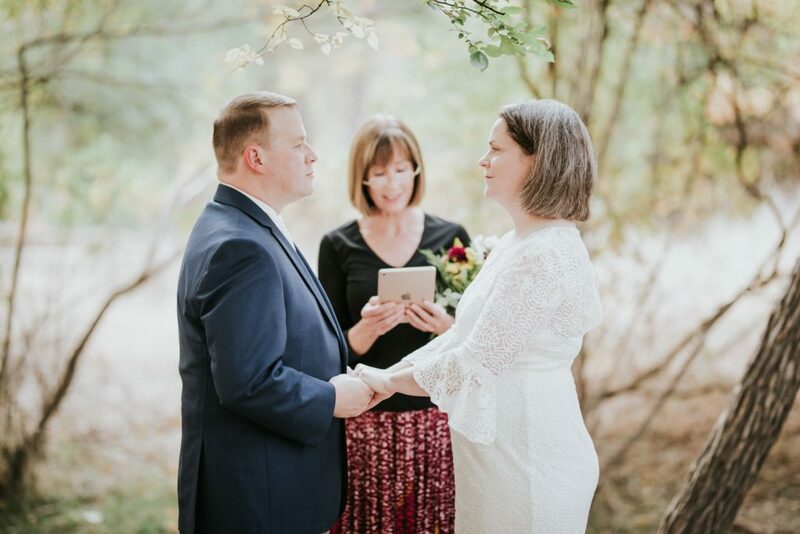 Whether there is snow on the ground and you carve out a private little area, or it’s summer and you’re immersed in the forest (with a stunning view of Boise), this spot is a tranquil yet close area to hold your intimate elopement. Travel fees do apply. 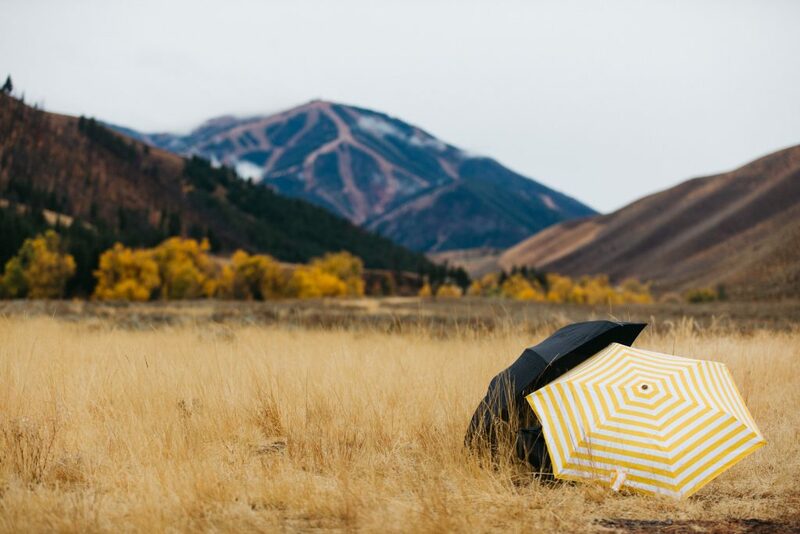 Home to the US’s first ski hill, Sun Valley is home of the stars! Notables like Tony Robbins and Bruce Willis have homes in Sun Valley and is one of the most beautiful ski towns in all of America! Though it’s know for it’s skiing, Sun Valley is a stunning destination for a ceremony year-round. 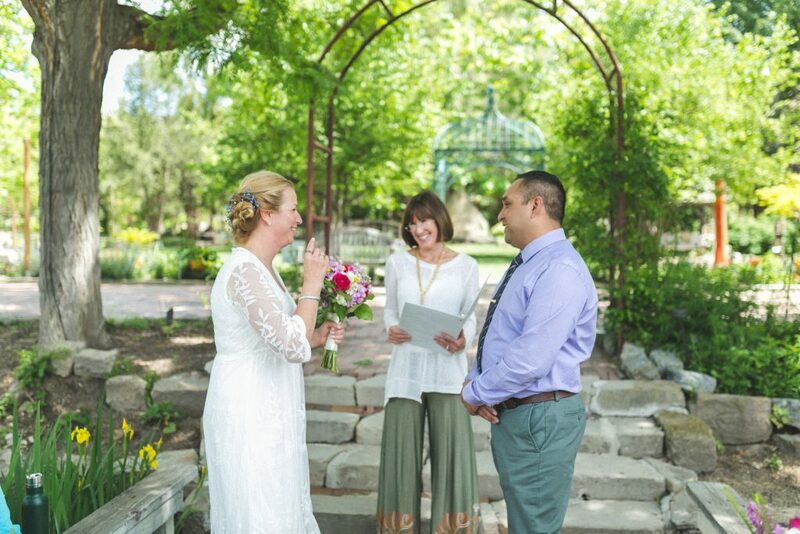 Take your pick of secluded mountain trails or sprawling fields of multi-colored grasses for your lovely Idaho ceremony! Travel fees may apply. 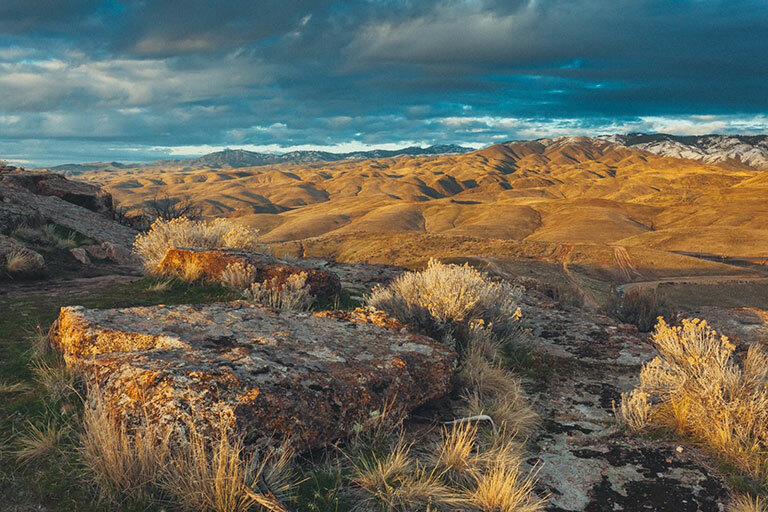 Located 10 minutes from downtown Boise, Camel’s Back Park is a special nook, nuzzled up against the Boise Foothills. Take a short, flat hike into the forested part of the park and say your vows next to a bubbling creek. Very darling, and lovely, spot for a ceremony! Be it Table Rock, or tucked back off a hidden dirt road, the Boise Foothills offers a lovely scenic backdrop for your ceremony. This is a great spot for couples who want an amazing view but don’t want to have to travel far for it. Ask us more about our spots nestled in the Boise Foothills! If Sage Brush and boulders are your jam, City of Rocks National Park is the place for you! Say your vows and then go rock-climbing or hiking? Sounds fun! It’s quite a phenomenon – to be driving in a flat sagebrush desert and then come across a sprawling areas filled with stunning rock features! Beautiful area for a unique kind of ceremony. Travel fees apply. Albertson’s Park is a darling park right outside of downtown Boise. Spotted with ponds and lots of greenery, there are lots of adorable places to hold your private and intimate ceremony here. Oh – and you may catch a deer to act as your witness! Are you and your honey looking for something unusual, memorable and offbeat? Treefort Music Fest would meet all of these criteria for your elopement. 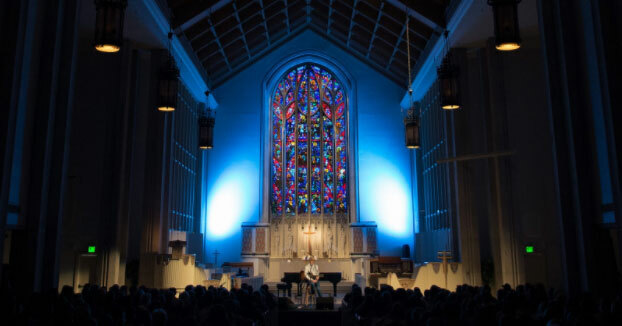 This welcoming and darling festival in downtown Boise packs in 16,000 people, 450 bands, into over 20 venues in a 5-day festival. Exchange your vows at the ranger station and follow-up with craft beers are Alefort, a yoga session at Yogafort or a local meal from Foodfort. Can’t go wrong with this unique option! We in Boise love our Idaho Botanical Garden! 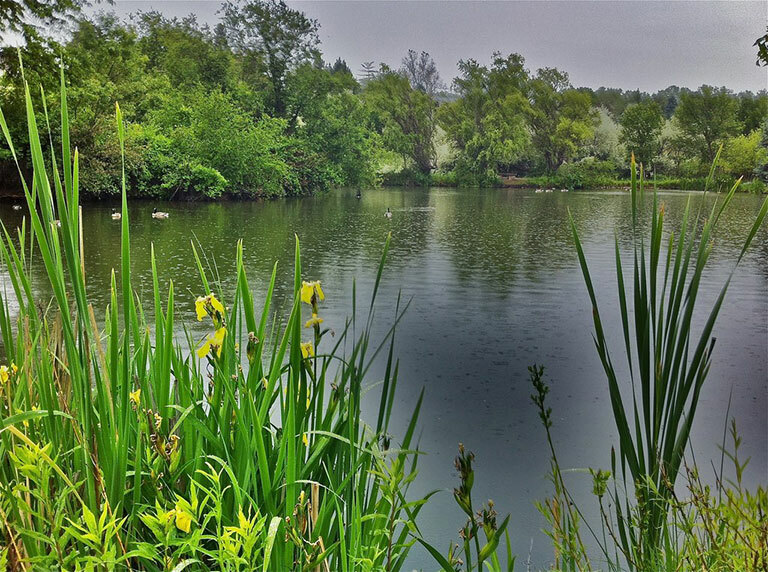 This is the most diverse collection of plant species in the state and has different areas of the garden: English Rose Garden, native plant species, wildflower section, urban garden section and more! Whether you’re looking for a private elopement or a microwedding, this is a great spot for ceremonies of any kind. Rental fees do apply.